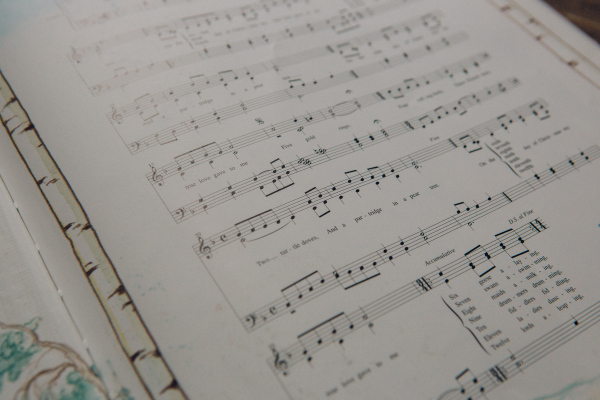 It’s the first week of the month, so I try to recommend both a song and a music-related book. 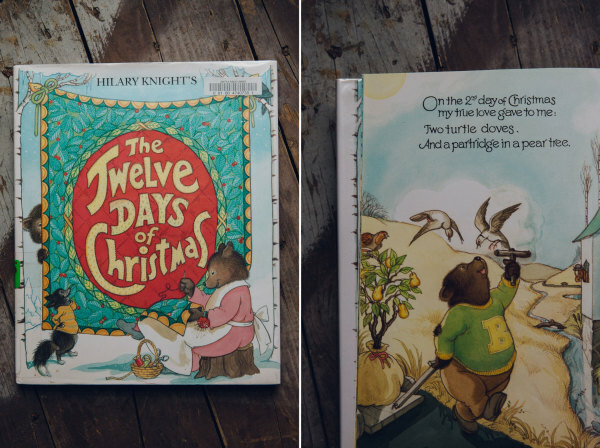 This week, I’m sharing my THREE favorite Twelve Days of Christmas books. And, un-related to the holidays, I’ll also share one of my students’ all-time favorite songs. Without further ado, let’s get to the recommendations! 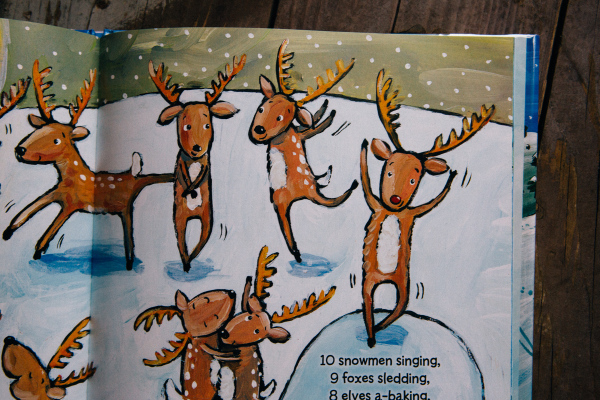 One of the most famous books to accompany this classic Christmas song is Hilary Knight‘s version. 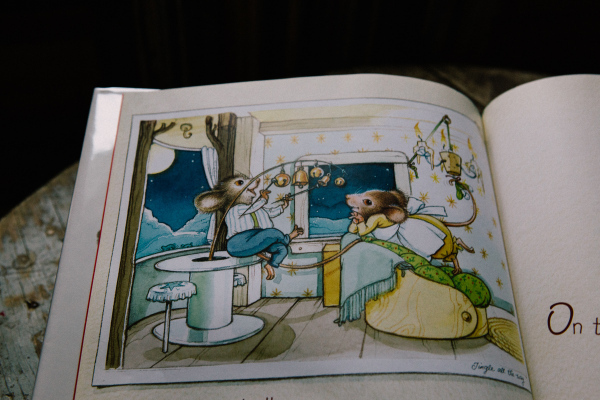 It follows the traditional words of the song and provides a charming interpretation of the story through the eyes of two bears. 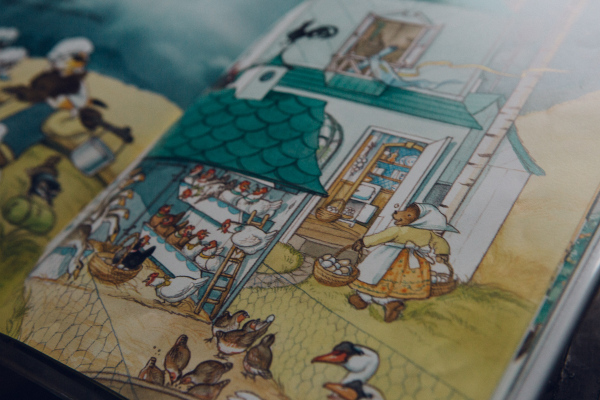 The illustrations are detailed and full of interesting things to look at. If you can’t find it at your local library, it’s available used on Amazon (but, I think it’s out of print). 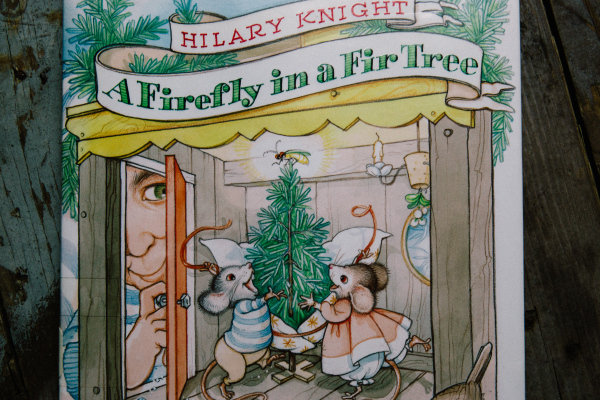 If you’re looking for something a little different, Hilary Knight also wrote and illustrated A Firefly in a Fir Tree: A Carol for Mice, a very sweet rendition of the Twelve Days of Christmas. The words aren’t traditional, but my students love this just as much as the original. 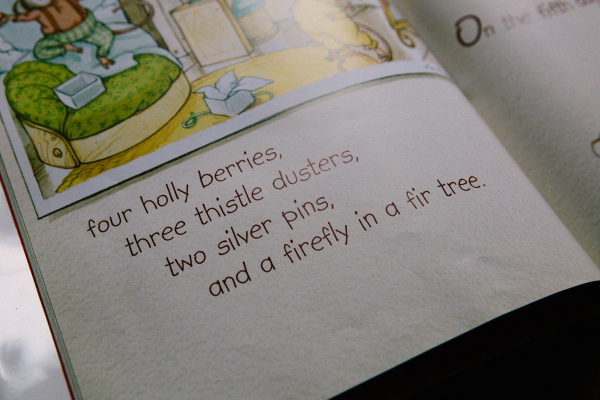 A Firefly in a Fir Tree is also out of print, so if it’s not at your library, you can buy one of the used copies on Amazon . Lastly, Jane Cabrera has created a fabulous non-traditional version of the song. I’ve recommended other books by her (see If You’re Happy and You Know It and Ten in the Bed). It’s fun, funny, and a joy to sing along with. It’s still in print (unlike the previous two books) so you won’t have trouble finding it. Check it out at the library or buy it on Amazon . And, since my year of song recommendations is almost over, I’m trying to finish off all my favorite songs. Can You Sound Just Like Me? is a fantastic copying song by Red Grammer. It’s really silly (which is what makes it perfect for preschoolers) and so easy to catch on to. Some of my students just giggle and giggle the whole way through the song. Find it on Spotify or Amazon and get giggling!